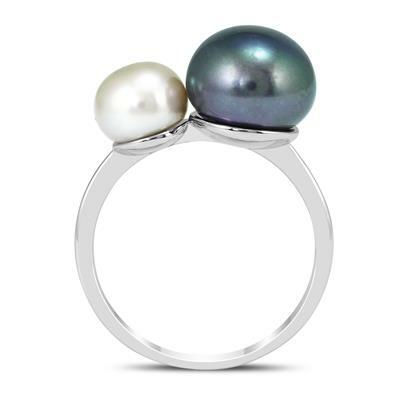 A stunning combination ring featuring a freshwater cultured black pearl measuring 10mm along with a freshwater cultured white pearl measuring 7mm. 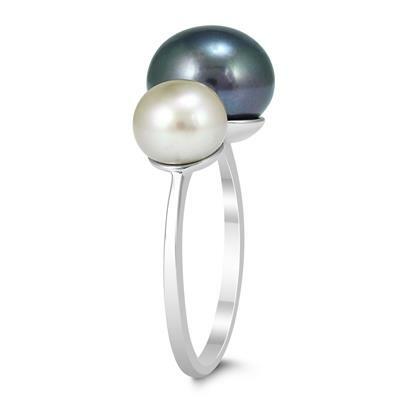 The ring is crafted in .925 sterling silver. 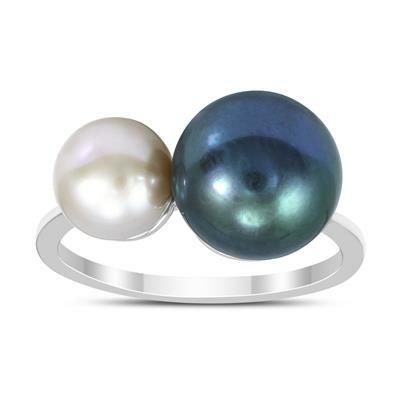 The ring can easily be resized if necessary. 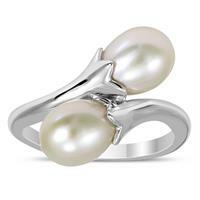 A sophisticated piece with endless style and class, perfect for casual and formal wear. 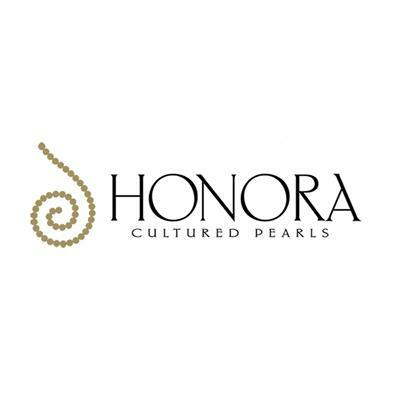 Honora brand is known for the highest level of quality and workmnaship with the finest selection of cultured pearls.